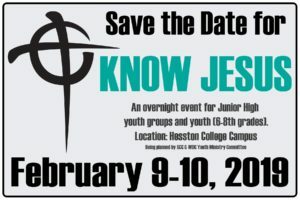 KNOW JESUS, organized by the Western District and South Central Conference Youth Ministry Committee of Mennonite Church USA, and hosted by Hesston College, is a weekend-long retreat for Jr. High (6th-8th grade) students to worship together and learn more about their Anabaptist roots. Our goal is help our young people learn about the rich heritage of their families and churches and also to promote growth in their lives now. Our hope is to provide an environment for our 6th-8th graders to grow in relationship with Jesus Christ. When they leave the will KNOW JESUS better than when they arrived. 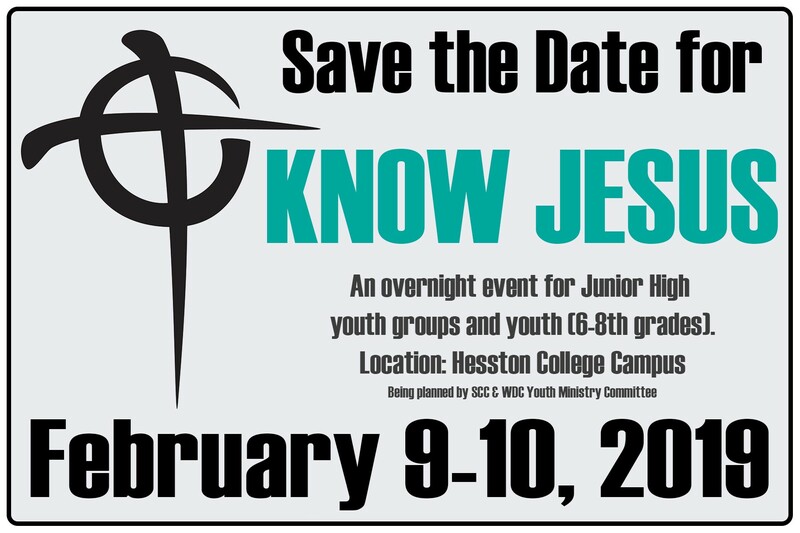 $60/person – for registrations postmarked January 27-February 2. Click here for complete information and printable forms! Feb. 6, 2019 – Sorry, registrations are no longer being accepted.